Bicycle Disposal & Reycling | 1800-GOT-JUNK? Do you need an old bike picked up quickly? 1800-GOT-JUNK? specializes in bicycle recycling. We will pick up your old bicycle from anywhere on your property. Depending on its condition, we’ll either recycle your bicycle at a local bike recycling facility or donate it to someone in need. For bike removal that you can feel good about, book a free estimate with 1800-GOT-JUNK? by using our simple online booking form or by calling us at 1800-468-5865. We have same-day service, so give us a call anytime, and we’ll be right over. 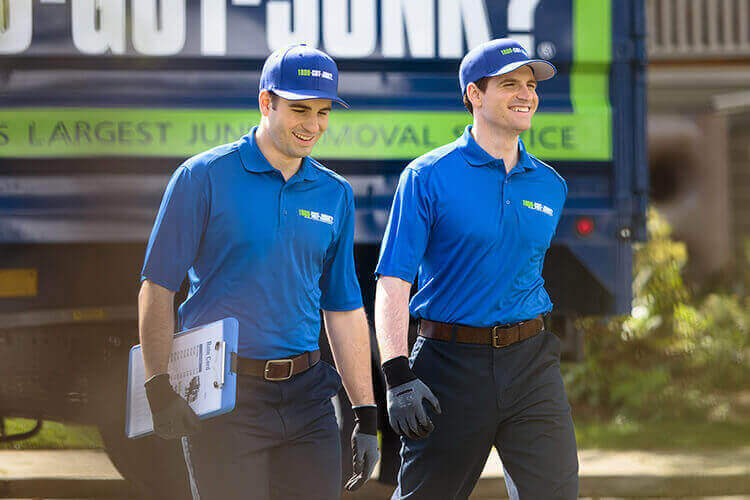 1-800-GOT-JUNK?’s bicycle removal service includes the whole package – we’ll come to your house, remove your old bicycle, haul it out to our truck, and clean up after. We’ll ensure your old bicycle is disposed of responsibly, and we also offer bicycle recycling whenever possible. 1. Simply schedule your bicycle removal appointment online or by calling 1-800-468-5865. Make sure to check with your local recycling facility to see if bicycles are accepted there, since not all facilities are equipped to handle them. Of course, you can always just call 1800-GOT-JUNK? and let us take care of your bicycle removal for you! We’ll make sure it gets donated or recycled where possible, so you can get rid of your bike the responsible way. If you don’t want to take care of it on your own, call 1800-GOT-JUNK?. We can help with bike disposal, making sure your bikes find an appropriate home. When we say 'we pick up and remove old bikes,' that includes stationary bikes as well!